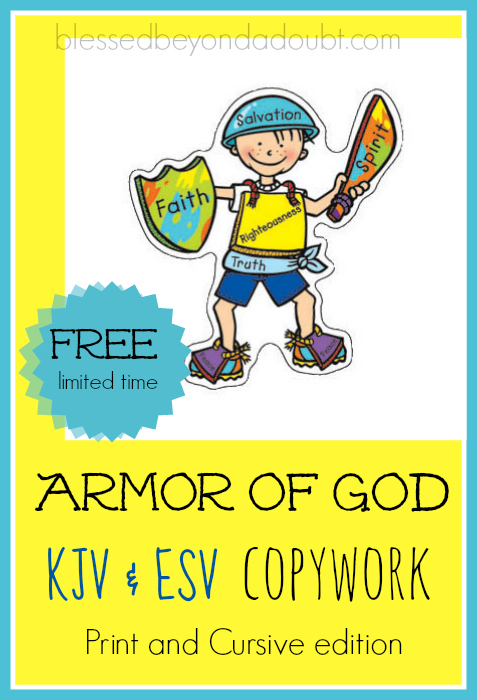 FREE Armor of God Copywork Printable Set! Limited Time! 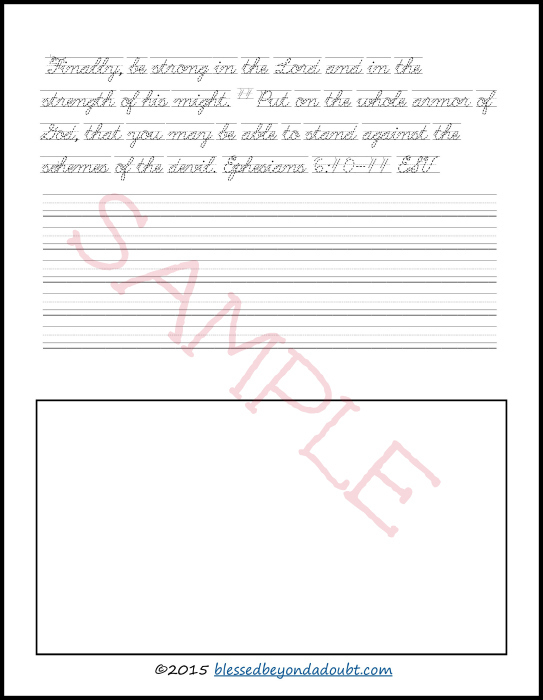 Have your children memorize the popular Armor of God Scripture with this creative God of Armor copywork set. I want our family to concentrate on memorizing Ephesians 6: 10-20 this month. My children and I tend to memorize scripture more effectively when we do the following. I created KJV and ESV Armor of God copywork printable packs. Each version comes in manuscript and cursive edition to meet your family’s needs. We complete a page per day and review on Fridays. I find this memorization process is the most effective for us. Check out how we memorize the books of the Bibles. I created these God of Armor Copywork for my email subscribers. Fill out in the form below and you will receive the Armor of God copywork instantly via email. Please check your spam folder.I create new freebies weekly for my email subscribers. I hope your kiddos enjoy this Armor of God copywork as much as mine do! Thank you so much. May the Lord Jesus continue to bless your work!